Bring the CLASSIC shape to your field hockey practice to develop habitual fundamental field hockey skills. 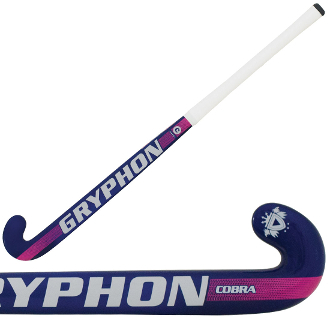 The Gryphon Cobra Classic field hockey stick is an even profile mid bow shape that translates to a consistent, no fuss playing style, time-tested fantastic choice for the growing field hockey player. Provide balanced assistance to all skills in the game for a no fuss playing style.